Welcome to St. Cuthbert’s Pre-School Playgroup in Doveridge, near Uttoxeter. 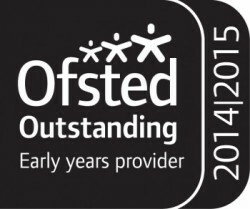 We are an ‘Outstanding’ Ofsted Pre-School and from September 2017 we will be offering morning sessions (9:15am – 12:15pm) and Monday and Wednesday afternoon sessions (12:15pm – 3:15pm) in our lovely village hall. We also provide a transitional session called ‘Rising 5’s’ where the children getting ready for school the next year spend Monday afternoons at Doveridge Primary School. We are a registered Charity and managed by a Committee of elected Trustees. Our website provides detailed information about Playgroup but please contact us if you have any questions or would like to arrange a visit. If you wish, you can download and complete the Application Form prior to coming to see us.